Hours are 9:00am to 3:00pm Monday, Wednesday and Friday. Closed Saturday, Sunday and major holidays. It is advised to call prior to stopping by. Appointments are available after hours, evenings, and weekends. 3. What types of clothing do you alter? I alter both new and vintage ready-to-wear items, as well as restyling out of date fashions, including: Dresses, skirts, slacks, pants, trousers, shorts, shifts, blouses, suites, jackets and jeans. I specialize in alterations on most styles of formal wear, such as Bridal, bridesmaid gowns and prom dresses, as well as flower girl. New and existing dresses for all types of special occasions. 4. What should I bring to my fitting? It's always helpful to bring the shoes and undergarments you intend to wear with the item you are having fitted. This is especially important for formal wear. 5. When will my items be ready? I will give you an estimate when I accept the job. Alteration items usually will be ready 5-10 days after you drop them off. If I cannot meet the stated deadline, I will contact you and let you know. 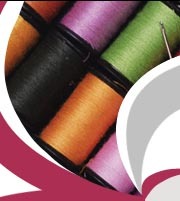 Custom sewing items are estimated on a individual basis and will depend on the complexity of the job. 6. What forms of payment do you expect? Alterations: Payment by Cash of Personal Check is accepted upon the completion of you order. Custom Sewing: A deposit is required when the project begins. The balance is due upon pickup. For immediate help, call 937-456-1970. You may also contact me by email at contact@sewfundamental.com Please indicate "alterations" or "custom sewing" on the subject line. This email account is checked once per day. If you need immediate response, please call instead.